TC-EM-1 is a polymeric emulsifier, which is a low molecular weight, high electropositive organic polymer. 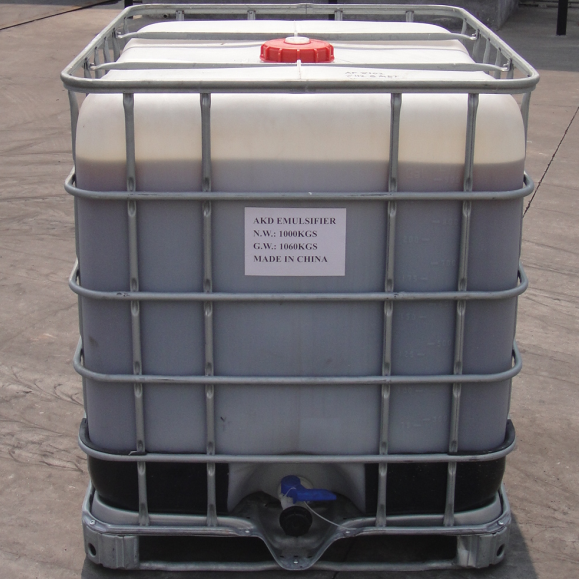 It has followed advantages: Other featured products : Alkyl Ketene Dimer ( AKD Wax ), Cationic Reagent (3-Chloro-2-Hydroxypropyltrimethyl Ammonium Chloride/quat 188/CHPTAC), general AKD Emulsifier 25%, Quat 188 69%,Polymer emulsifier 40%, PolyDADMAC 40%,Wet strenght agent 12.5%/25%, Styrene Acrylic Copolymer, Fixing Agent 50%, Poly Aluminium Chloride, Sodium Gluconate Oxidized Starch,ect. 1. Easy to use, do not need cooking. Reduce cooking equipment for solid starch and lower down technical condition fluctuation for cooking the starch. 2. Use current water to dilute and prepare, without heating. TC-EM-1 may be stimulative to skin and eyes, and it is recommended to use gloves and protective glasses when use. If eye or skin comes into direct contact with this product, immediately rinse with plenty of water for at least 15 minutes. 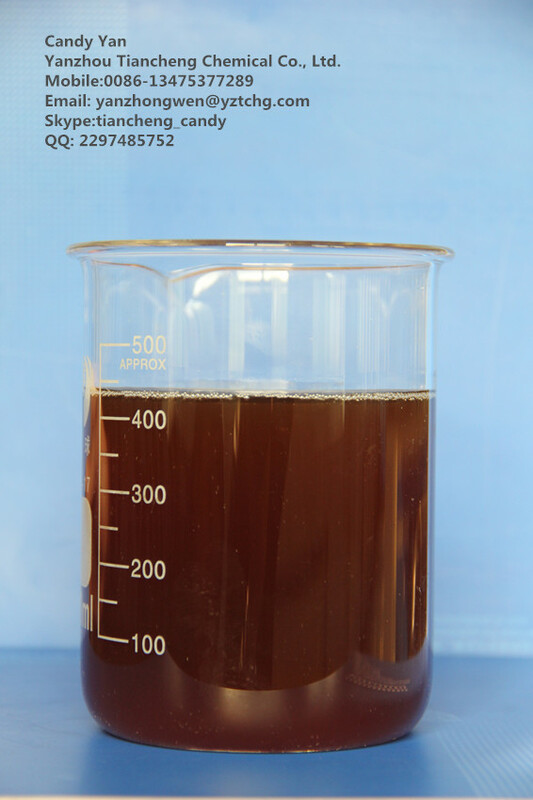 As a emulsifier and stabilizer of AKD,TC-EM-1 can provide a good stability of the emulsion. With the mechanical stirring, it can disperse AKD as required in the production process, which average particle diameter more than 80% can be less than 1.2 microns. It can also maintain a relative long time after the emulsification, and it has a certain electrical neutral to the slurry. Please note, under high hardness, the hydrolysis rate of AKD emulsion will be greatly improved. So in order to reduce the rate of hydrolysis, the PH value of emulsified should be controlled between 4.5~5.0 by Citric Acid . TC-EM-1 has low PH value, which saves this part of the operation. For certain application, the usage of TC-EM-1 should also follow the operating instructions of our company. Looking for ideal AKD Emulsifying Agent Manufacturer & supplier ? We have a wide selection at great prices to help you get creative. 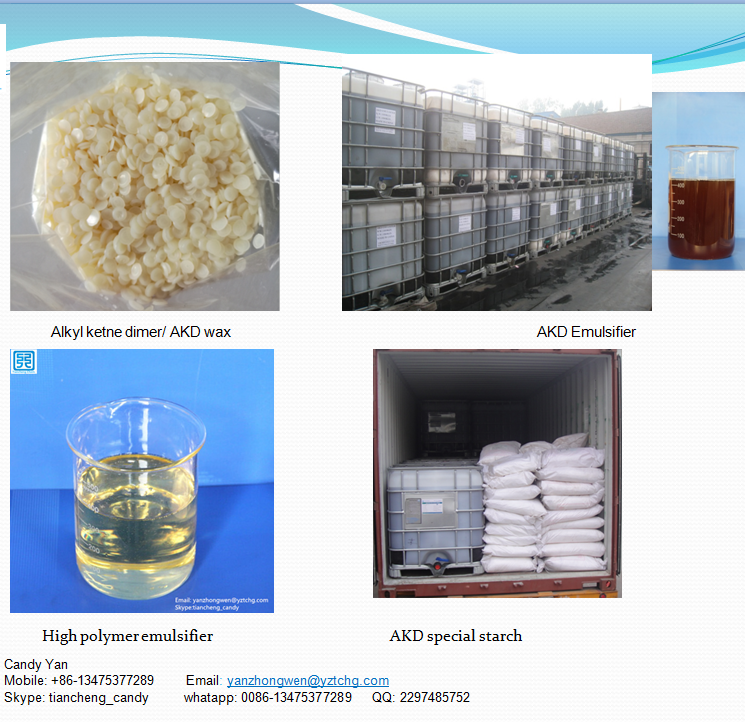 All the Akd Emulsifier 25% are quality guaranteed. We are China Origin Factory of 25% Emulsifier. If you have any question, please feel free to contact us.